This is completely random, but I thought that some of my readers might appreciate this one. By happy accident, we discovered a drastically less messy way for our messy girls to eat one of their favorites: cold cereal. 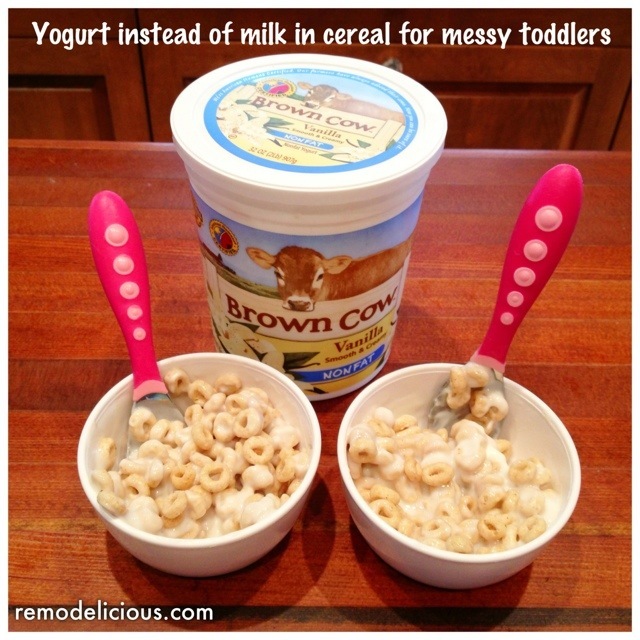 Mixing their cereal with yogurt makes it easy for those new to eating with spoons. I’m sure we’re not the first to figure this out, but it works and saves me a mess to clean up in the morning. We’ll save the “eating liquids with a spoon” lessons for times when we’re not rushing to get out the door. Get Your Santa Sacks Now!